We’re all familiar with Netflix’s original series, and the streaming giant has also been rolling out comedy specials (like “Aziz Ansari: Buried Alive”) and acquired shows (like Gillian Anderson crime drama “The Fall”). While the company’s expressed interest in getting into the business of movie-making as well, first it’ll be launching an initiative of original doc programming, starting with “The Square,” from “Control Room” director Jehane Noujaim. Netflix officially announced the acquisition of “The Square” today, and plans for an early, exclusive 2014 premiere on the service in all territories. The documentary is currently in the midst of an Oscar-qualifying theatrical run, which means that the Emmys aren’t the only awards Netflix could be making its way into. “The Square” is an interesting choice for Netflix to run with as its first doc acquisition. 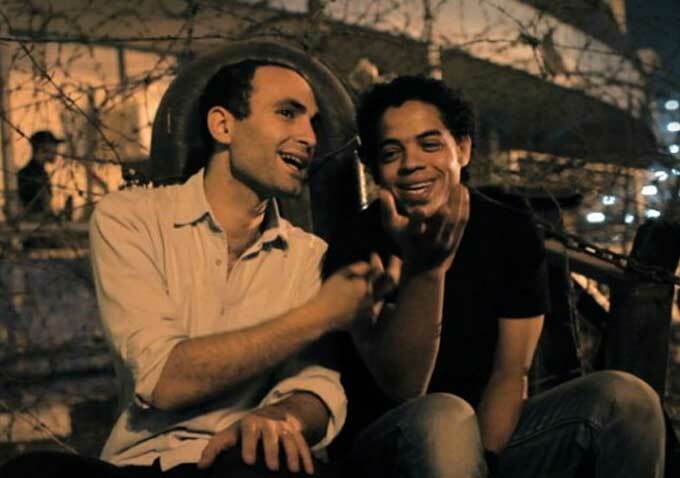 Having premiered and won the Audience Award at the 2013 Sundance Film Festival, the film, which is about the Egyptian Revolution and its aftermath, has been extensively reworked in the time since to reflect the ongoing events in the country. An updated version including the 2013 ousting of Mohammed Morsi screened at this year’s New York Film Festival and won the Documentary People’s Choice Award at the Toronto International Film Festival. READ MORE: Why Were There Two Drastically Different Versions of ‘The Square’ at Sundance and Toronto? “Our dream for ‘The Square’ is to inspire the hearts of as many people as possible and by working with Netflix, we can insure the film reaches a wide and diverse audience. Nothing about the making of this film has followed the norms and that’s what makes it exciting. It is crucial for us as filmmakers, who have shot a documentary about people risking and losing their lives for their beliefs, to create a spirit of possibility,” added Noujaim. The deal was brokered by Cinetic Media.